The Exiles affirm that literature is more than mere entertainment, more than social commentary, more than artistic expression. It is rather a mode of knowledge, embodying the deepest truths of the world and human experience. But as John Henry Newman says in The Idea of a University, those who pursue knowledge in isolation “may be full of their own mode of viewing things, unwilling to be put out of their way, slow to enter into the minds of others.” As such, The Exiles also believe that the writing, reading, and criticism of literature best takes place in a community dedicated to the common pursuit of knowledge. The Exiles rely on the generous support of others in the community for our continued success, including the publication of our literary journal The Lost Country. If you would like to support us in our work, please consider purchasing a physical copy of the journal or making a monetary donation. For information on other ways in which you can help, please contact The Exiles at info@inexsilio.com. Like us on Facebook, follow us on Twitter, and sign up for our mailing list to keep in touch with all the latest from both The Exiles and The Lost Country, and to participate in our ongoing discussion of literature. 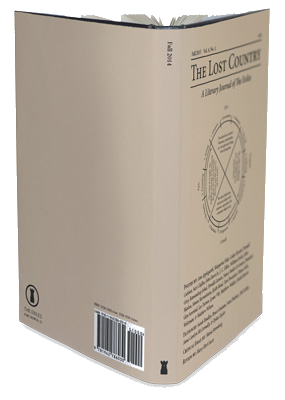 The Lost Country is the literary journal published by The Exiles. It contains original works of poetry, short fiction, translation, critical essays, and book reviews drawn from writers around the world. Please visit the Submit page to learn how you can submit your work for consideration in the upcoming issue. The Editors of The Exiles’ literary journal The Lost Country are seeking to work with reputable business and organizations to include advertising in future issues. For more information please contact The Exiles at info@inexsilio.com. The Exiles are always looking for new members who share their views on the nature of literature and its importance in the life of the well-formed person. Whether you write or just read, we’d be happy to have you at one of our regular meetings. If you are in the Dallas/Fort Worth area and would like to join us, please use to form below to contact one of our staff. If you would like to become involved with The Exiles or their publication The Lost Country, please contact us at info@inexsilio.com.